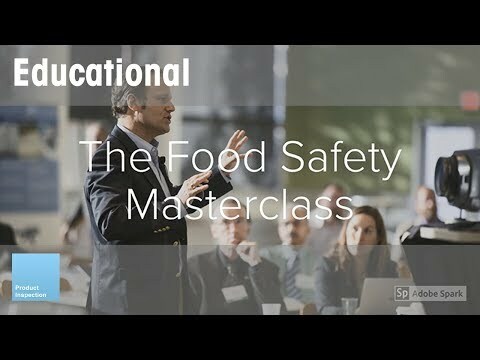 Based on our successful webinar 'The Food Safety Masterclass'; we are now able to offer you a free onsite seminar, at a time convenient to you. During this interactive live seminar, one of our local experts will provide you and your team with a step-by-step guide on how to prevent physical contamination in order to ensure food safety. Furthermore, our expert will explain the different reasons which could lead to a brand damaging product recall and how important it is to avoid them. Participants will also find out more about the 6 steps to food safety and learn more about the latest food safety trends. This seminar can be tailored to your requirements and you have the opportunity to ask questions and invite anyone who might benefit from this short seminar. Contact us today to arrange an appointment for your seminar.